Art Maker created an engaging scrapbook-style environment for children to create, narrate and imagine. Children choose from a variety of backgrounds with characters and objects to add, easily re-size and manipulate. Each picture can be saved in app, assembled into a storybook, or transformed into an interactive video as your child narrates and moves the images around. A very informative “for parents” page gives tips and ideas to help you get started. 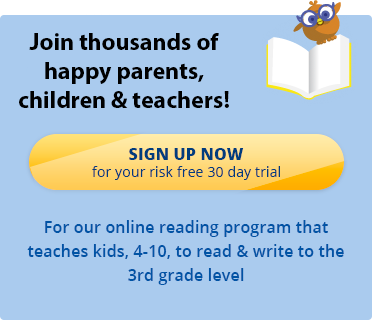 If you’re interested in kids reading games made fun, sign up for a 30 day free trial of the Reading Kingdom, our online reading program and game which teaches all six skills needed for reading & writing success.